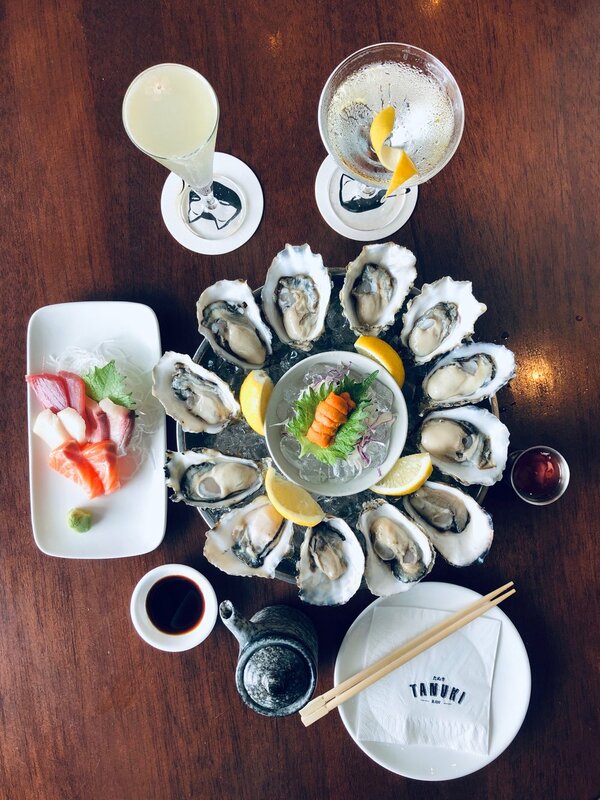 When you're in the heart of Singapore's shopping district, drop in to Tanuki Raw for Singapore's original daily oyster and sashimi hour! We offer the only raw bar happy hour in the country. 1 drink entitles you to purchase 6 raw oysters, 10 slices of sashimi, and as much uni as you like! Visit our newest outlet at the amazing Jewel Changi Airport! We’re located at the 5th floor canopy park overlooking the rain vortex. Join us for happy hour and watch the beautiful transition from day to evening. We know that after a hard day's work, you're looking to relax with a drink, snack on some tasty food, and catch up with friends. our salmon don, negitoro don, and garlic butter chicken donburi are only 10 SGd during lunch time every monday - thursday. available at our orchard central outlet. our garlic butter chicken, white curry tofu don, and spicy miso charsiew donburi are only 10 sgd during lunch time every monday - thursday at our national design centre (kapok) outlet.